If you are a frequent beta tester of iOS apps, you probably have more devices connected to your TestFlight account than you realize. Recently after I restored my iPhone, I started getting the message that I couldn’t register another device and couldn’t install any beta apps. Apparently, there is a 10 device limit per account. 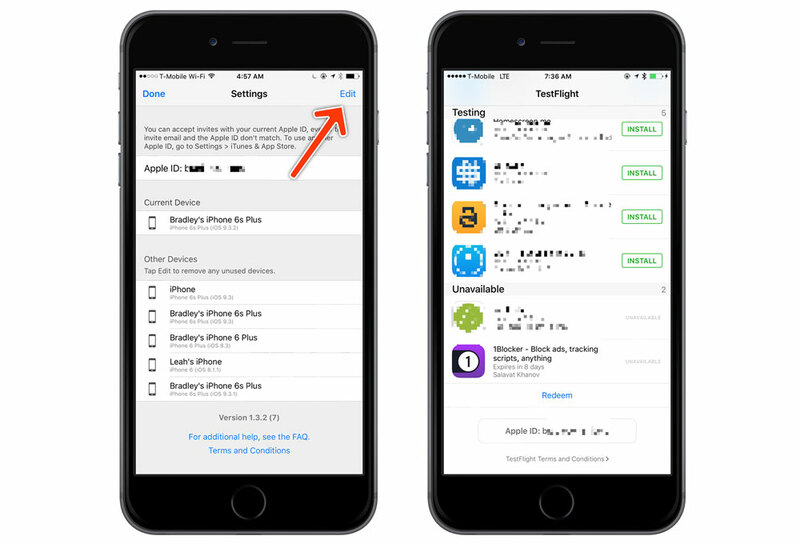 To remove unused devices, launch the TestFlight app, and tap on your Apple ID at the bottom. Next, tap Edit. This will allow you to select unused devices and remove them. There is a limit on how many you can remove in a week, so it might take you a week or two to completely clean it up.